Between 8-10 thousand years ago, Playa del Rey was bordered by sand dunes and coastal wetlands that provided an abundance of renewable food resources to the first inhabitants of Ballona. The Tongva, originally from the Mojave Desert, came to Ballona 3-5 thousand years ago. The Tongva harvested seeds, nuts, and fruits from the area and hunted small game, including fish, shellfish, and waterfowl. They traveled to nearby islands in intricately fabricated canoes. After the Spanish arrived in 1542, the Tongva population was decimated by foreign diseases such as smallpox and measles, and the few survivors were moved to the San Gabriel Mission and re-named the Gabrielinos in 1771. Within the last 200 years, a miniscule amount of time on the geological time scale, the wetlands were changed forever. The first major change came from agriculture, later industry, followed by a boom in population. Around 1820, a mestizo rancher named Augustin Machado chose the Ballona Wetlands to graze his cattle. After claiming 14,000 acres thanks to a land grant provided by the Mexican government, Machado took ownership of the area that today stretches from Culver City to Pico Blvd. in Santa Monica and called it “Rancho La Ballona.” While the Machados became wealthy, Ballona suffered its first major blow due to the conflicting needs between the natural landscape and the grazing livestock. The origin of the name “Ballona” is up for debate. Some think that the inner bay may have once housed whales during breeding migration, and that Ballona might be a misspelling of the Spanish word for whale, ballena. While others believe that the name comes from Bayona, Spain, the original home of the Talamantes family, who partnered with the Machados. In the 1840s, the Mexican war brought California under the jurisdiction of the United States. During the gold rush, immigrants from all over the country flocked to California, ignoring many of the Mexican land-rights and claiming it as their own. Proving land entitlement became expensive and difficult thanks largely to the changing land and sea. Squatters soon took over the once thriving Ballona Rancho. During this time, many of these people hunted native Ballona birds for their stylish plumage. During the late 19th and early 20th century, Ballona hosted a slew of new businesses that, thanks to calamitous weather, endured a short though fruitful run. A German named Will Tell built a business at the mouth of Ballona where sportsmen could hunt from his small boats. His business soon washed away, but interest in the area continued to mount. In the 1880s Moy Wix envisioned “Port Ballona,” a plan that would link the ocean to a new two-mile Harbor. The Santa Fe Railway followed in 1887; the passenger train was successful in transporting Angelinos to Port Ballona. Strong tides and winter rains inevitably washed away the wharf, putting an end to the grand project. With the installation of the Pacific Electric Red Car transit system at the turn of the 20th century, people came to the beach in throngs. In Ballona, new hotels sprung up, along with a fishing pier and bridge that spanned the lagoon entrance. Boat and car racing became popular too. The famous one-mile “pie pan” race track brought in many spectators to see stars like Barney Oldrum racing at reckless speeds up to 60 MPH! Once again, heavy seas and rains proved too much for these attractions and eventually washed them all away. The Red Car route ran through the wetlands and its berm is still present, running parallel to Culver Blvd. Today it’s affectionately known as the Trestle Trail, due to the decaying wooden bridge pillars in the channel. In the 1920s, the invention of the automobile made the beach more accessible than ever, inspiring developers to set their sights on higher grounds that were less prone to flooding. They named their new development Palisades del Rey. When oil was discovered shortly thereafter, tourism and major motion picture industries took a back seat to the promise of black gold. As had occurred in the past, Ballona was yet again subjected to harsh, unsustainable conditions that left the wetlands disfigured and grossly polluted. In the 1930s and 40s, the Army Corps of Engineers invested in flood-control; they dredged and cemented Ballona Creek and installed flap gates to drain run-off while preventing tidal flow into the wetlands. With these hydrological modifications, horse stables were built next to the marsh, where they remained until 1989. Farming of lima beans and celery continued through the 1980s. The time of the aviation age brought about heightened interest in development. Mines Field, which would eventually become LAX, settled in behind the El Segundo Dunes. Prior to World War II, millionaire Howard Hughes purchased the land encompassing Ballona to build an aircraft factory, paying a mere $500,000. The factory was built east of Lincoln Blvd., leaving the area west of Lincoln Blvd, the current Ballona wetlands, clear for take-offs. The single most devastating blow, however, came in the 1960s with the construction of Marina del Rey. With no federal protection of wetlands, more than 900 acres were destroyed for its construction. Approximately 3.5 million cubic yards of dredged fill was dumped on a portion of the remaining wetlands, raising the elevation by 15 feet in some areas. The old tide gates began to rust, allowing saltwater back into the wetlands and improving habitat. The endangered Least Tern was seen nesting on the salt pans, while the threatened Belding’s Savannah Sparrow nested in the pickleweed. However, when Howard Hughes died in 1976, his heirs quickly drew up plans to develop the area, including Ballona. What they called The Summa Corporation Playa Vista plan would consume all but 72 of the 1,187 acres. In response to this proposed development, the Friends of Ballona Wetlands (FBW) formed a grassroots movement to prevent further damage to the wetlands. The Friends’ campaign came about during a wave of “green-mindedness.” Schools were educating children for the first time on the importance of nature and ecosystems, and the Friends invested their time and effort in teaching the public about the value of the wetlands. Represented by the Center for Law in Public Interest, the Friends filed a lawsuit against The California Coastal Commission for approving Summa’s plan, claiming that development of the wetlands was inconsistent with the California Coastal Act. From 1984-1989, Summa refused to compromise and eventually sold the land to Maguire Thomas Partners. During this time, City Councilmember Pat Russell, who supported the development of Ballona, was eventually defeated by urban planner and Friends supporter, Ruth Galanter. The new owners negotiated with FBW in 1990, agreeing to give up a significant portion of the 1,187 acres and also to pay for much of its restoration, including a freshwater marsh and riparian corridor. As a result of their involvement, the Friends would eventually win a seat on the Ballona Wetlands restoration planning committee. This position gave the Friends the ability to ensure that any proposed Playa Vista development would not adversely affect Ballona Wetlands. New activist sects sprang up in the 1990s to dispute different elements around Ballona. Many had a stake in the area: from animal-right activists who advocated for the invasive red-fox to those who opposed any kind of construction in or around the Playa Vista area. Around the same time, DreamWorks Studios expressed interest in building a studio at Playa Vista. Many new groups opposed any kind of construction in Playa Vista, even though the studio was set for construction at the old Hughes aircraft site, over 1.5 miles from the marsh and high above sea level. Accusations were flung at both the Friends and DreamWorks’ Steven Spielberg, but tempers eventually subsided after the studio plans were scrapped. During the mid-1990s, with permission from then landowners Maguire Thomas Partners, FBW began leading tours in the wetlands and hosting restoration events in the sand dunes to educate the community. In 2003, the Freshwater Marsh built by Playa Vista (now owned by Brookfield Residential) was completed. Also in 2003, the state purchased 192 acres and accepted Playa Vista’s donation of 291 acres. This new acquisition brought the total protected area to approximately 600 acres. With the state’s purchase, the Coastal Conservancy initiated comprehensive restoration plans for the newly-protected wetlands. In 2004, construction of a new tidegate was completed, providing flood control while improving natural tidal flow into the wetlands from Ballona Creek. The California Coastal Conservancy also approved state bond funds to support the planning for restoration of the entire Ballona Wetlands Ecological Reserve (BWER). In 2008, the state released a study that explored a range of options for restoration and Playa Vista completed construction of the Riparian Corridor. Currently 259 species have been observed in the Riparian Corridor and Freshwater Marsh. This Freshwater System was previously highly degraded and contained an abandoned celery field, with 50 or fewer species having been seen. Now it is an ecologically significant and biologically diverse testament to the success of restoration. From 2009-2014, The Bay Foundation, at the request of the Coastal Conservancy, performed baseline monitoring for developing a scientific understanding of the ecosystem, to inform restoration decision making. 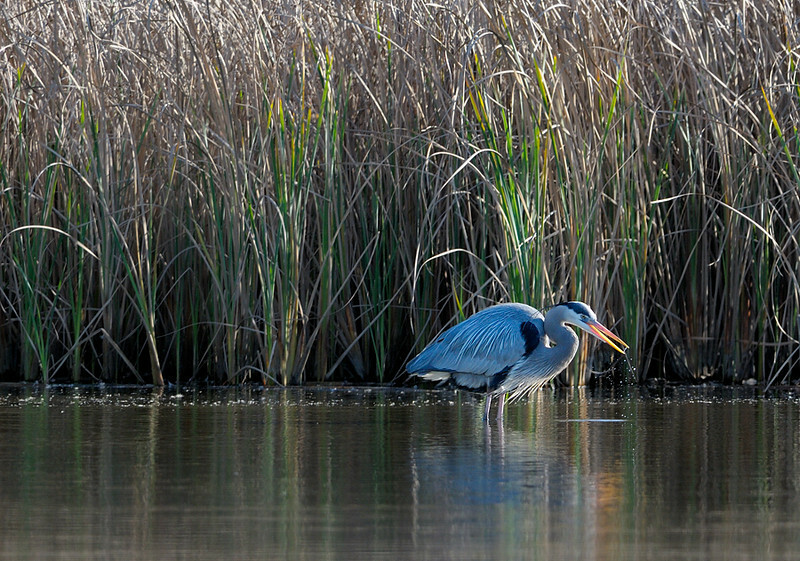 Read the Ballona Wetlands Ecological Reserve Comprehensive 5-Year Monitoring Report. In 2012, the Scoping Period Outreach took place to obtain input from the community, formally initiating the Draft Environmental Impact Report (DEIR) process (Appendix A Scoping Report). In preparation of the DEIR, the Wetlands Restoration Principles Coalition was formed in 2015 to outline principles in support of science-based wetlands restoration projects. The Coalition’s steering committee is composed of several leading Southern California environmental organizations: Friends of Ballona Wetlands, Heal the Bay, Los Angeles Waterkeeper, Trust for Public Land, and Surfrider Foundation. California Department of Fish and Wildlife released the much anticipated Draft Environmental Impact Report for public review and comment in 2017. For the latest updates on the EIR and to read our comment letters visit our Restoring Ballona page. The only constant throughout Ballona Wetlands long history is change– from the daily ebb and flow of the tides, to the give and take between natural forces and human impacts. Looking to the future of Ballona Wetlands, change continues to be on the horizon. To be a part of that future, we invite you to visit, volunteer, and join our mailing list below to receive action alerts, updates, and restoration news. Learn how Friends of Ballona Wetlands stopped development of prime coastal real estate, then recruited scientists and Playa Vista developers to cooperatively transform a scrappy 51 acre area into a lush habitat for rare and endangered species in the heart of urban Los Angeles.